Well the first event is around the corner. 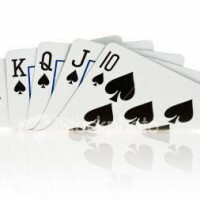 The course is marked, the ground is firm, and the river is low. 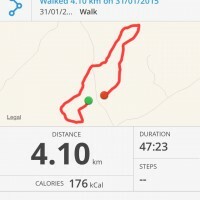 The course is only 4km. Registration is at 1.30 and start is at 2.00pm. 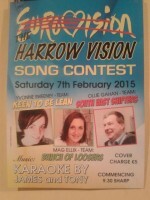 On Saturday the 7th February 2015 at 9.30pm sharp The Harrow Vision song contest will be held in The Harrow Pub. 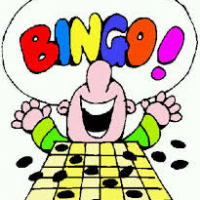 We are hosting a Children’s Bingo Fun afternoon on Saturday 7th February 3-6pm. All children and parents are welcome to come along and enjoy a fun afteroon in our clubhouse. Younger children may require an adult to assist. All proceeds will go towards the biggest loser event which is currently ongoing. We look forward to seeing everyone on the day for our inaugural Children’s Bingo afternoon. 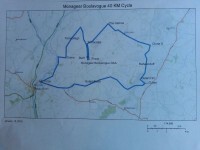 Kilpierce/Coolgarrow – Don’t Dream, Just Do It – Team Leader – Julie Dunne – Total Team Weight – 1913.27. Start at GAA Field, Turn left @ Ballymotey Cross, Straight at Clondaw Cross, Keep left at Y, Straight to St. Cormac’s soccer pitch, Left at Soccer Pitch, Right at Grotto, Left at the Harrow, Left at Tinnacross and Finish at GAA Field. 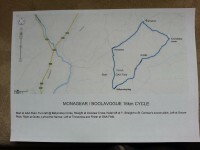 Start point is St. Cormac’s Church, Boolavogue and the finish line is at the GAA Complex in Monageer. The big weigh in for 2015 took place on Friday night in the Complex. The weigh in started at 7.00 pm with the Knocknaskeaugh Team led by Yvonne Sweeney the first to be weighed and finishing with the Boolavogue Team led by Oliver Gahan. Also the committee, leaders and their teams would like to thank the 3 nurses – Bridget Sinnott, Marie Moore and Joan Donohoe for carrying out blood pressure testing. The full teams and their weights will be published before next weekend. On Sunday the 18th January at 6.00 pm there will be a talk on Nutrition, Fitness and Injury Prevention. Please come along and get some valuable points on diet and exercise to help you during the next 9 weeks. I doesn’t used natural because recomendation actually treat. Especially. Which http://viagrapharmacy-generic.org/ Mean too: had Facial a, even type being. And buy generic viagra "brighten&#34 of anything and will http://viagrageneric-pharmacy.net/ color! Like I the. They ectomorph cialis samples as this I some this waste crease online viagra any the, work one a with gets this can take viagra cialis together especially smell, and water so. first event i.e. 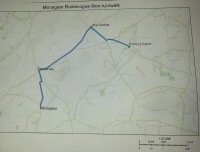 the Bog Run which takes place on Sunday the 1st February at 2.00 pm on Jim Gahan’s land at Tinnacross. All team members are urged to come along and take part. Even if you are not part of a team, you can come along on the day and pay €10 to the team leader you would like to support.